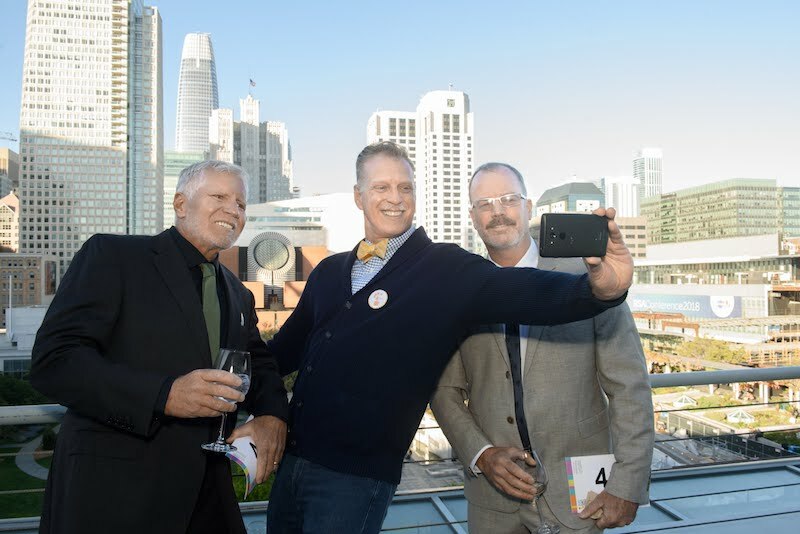 San Francisco is known for many things, namely its art and the freedom to be whoever or whatever your soul desires. 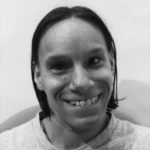 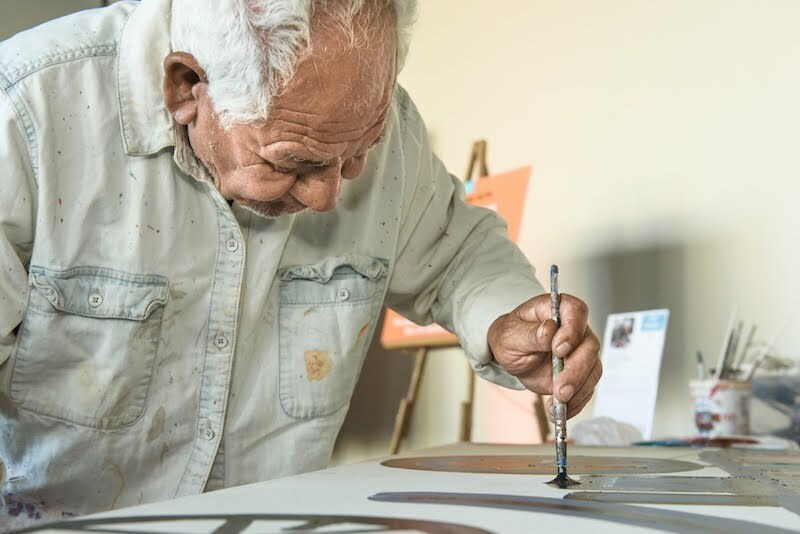 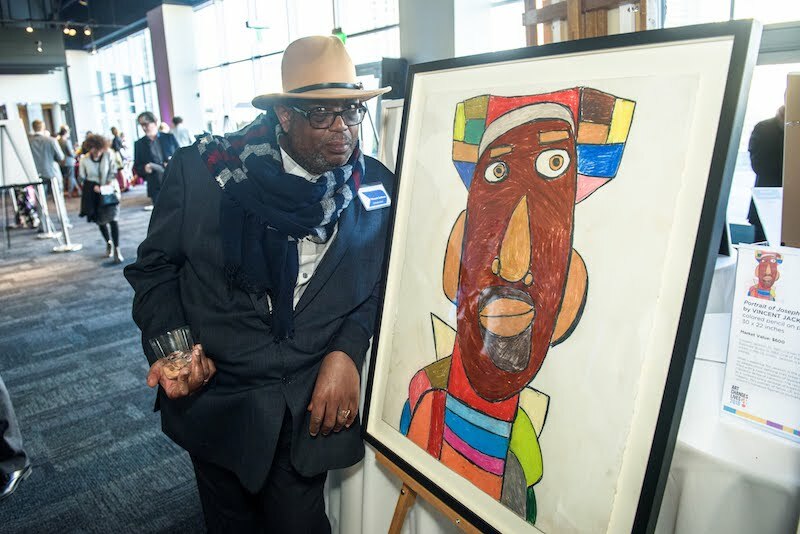 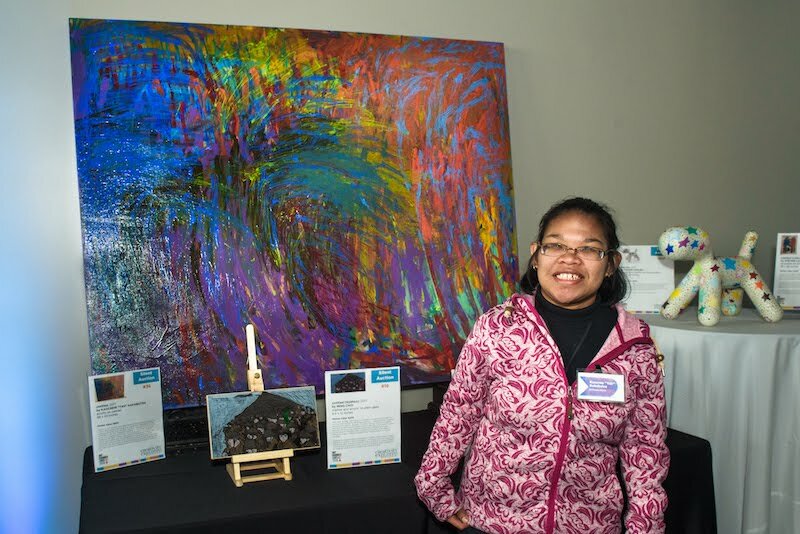 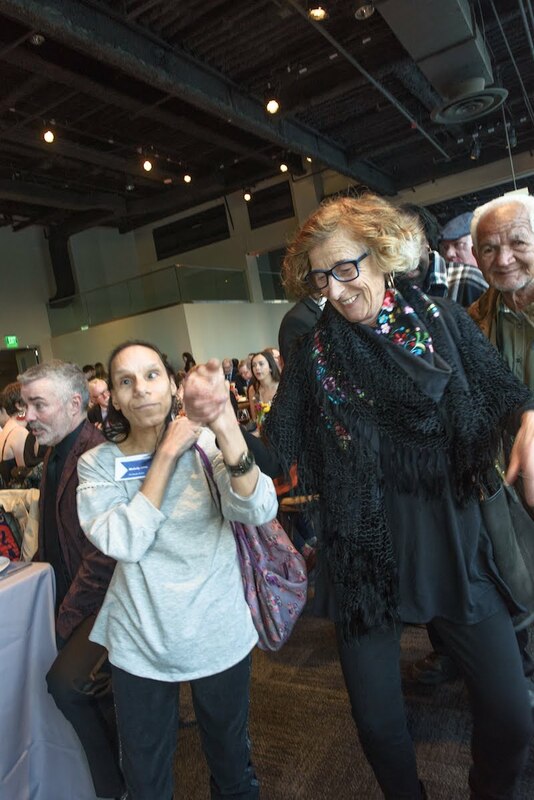 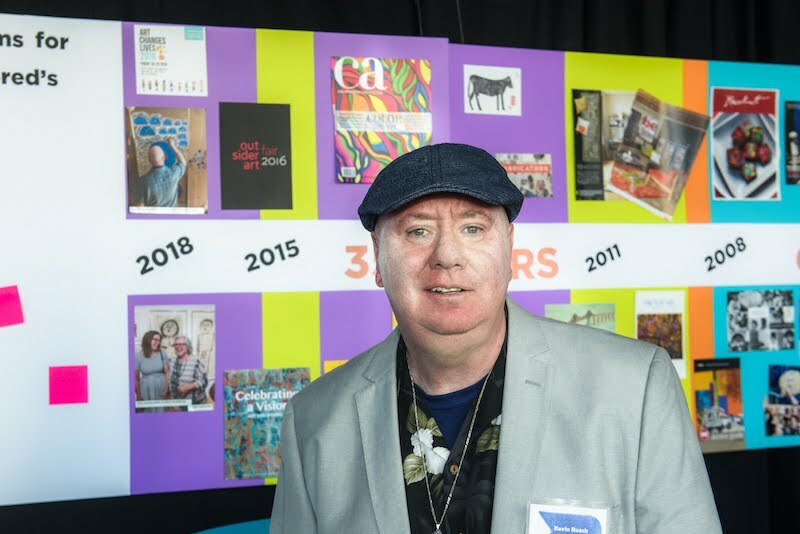 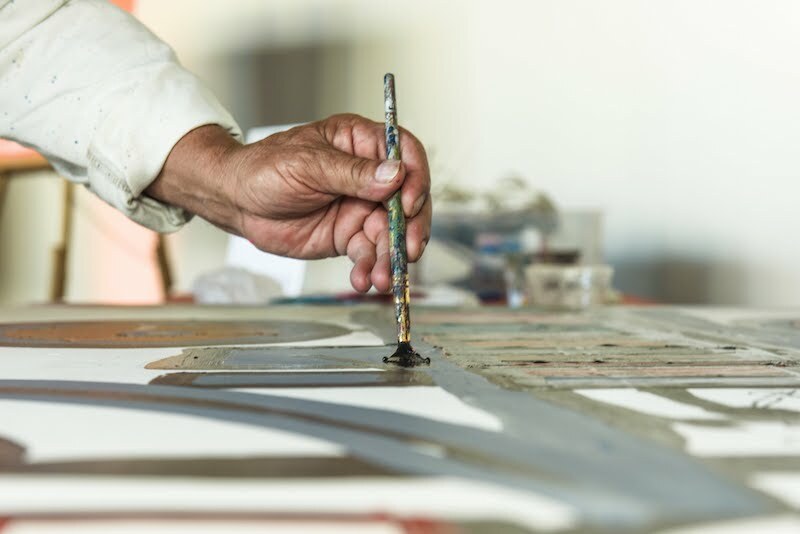 For 35 years, Creativity Explored (CE) has been creating a supportive environment for artists with developmental disabilities to create from their soul. 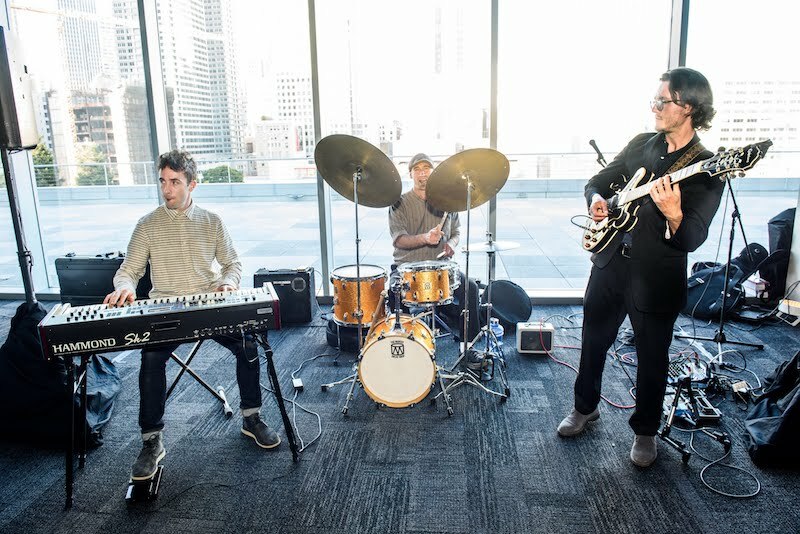 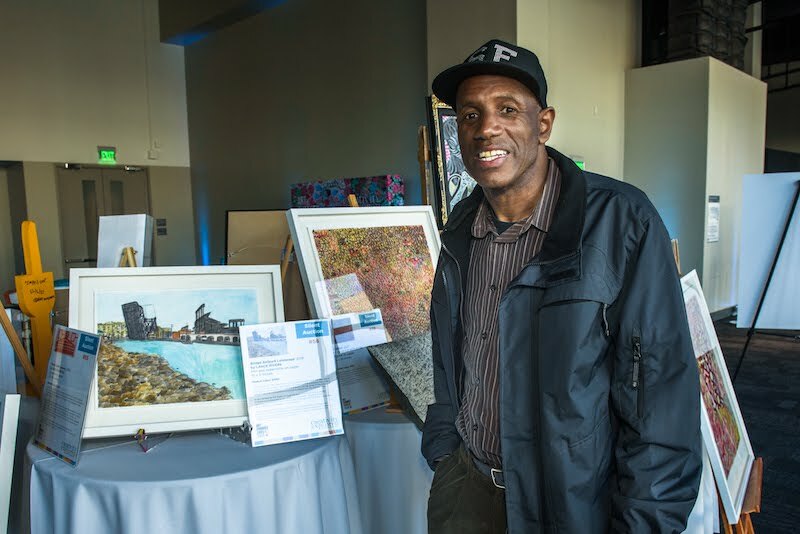 With two studios in San Francisco, Creativity Explored provides an amazing space for artists to explore and achieve their fullest potential. 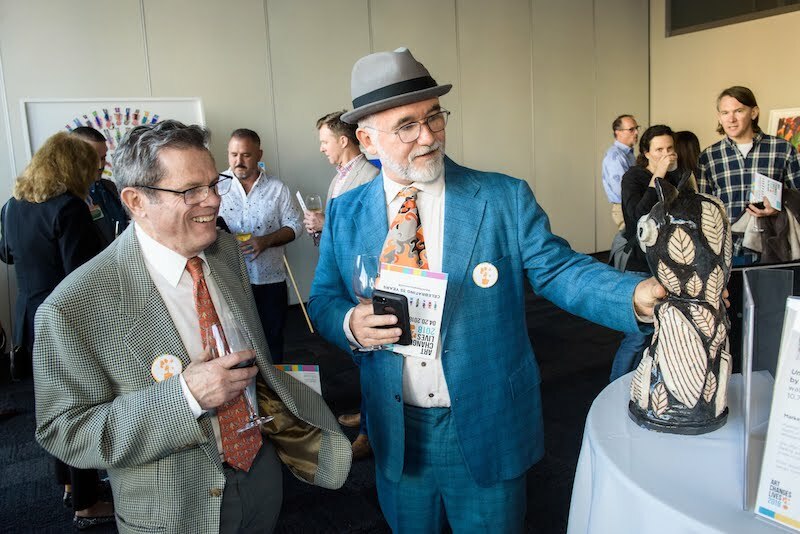 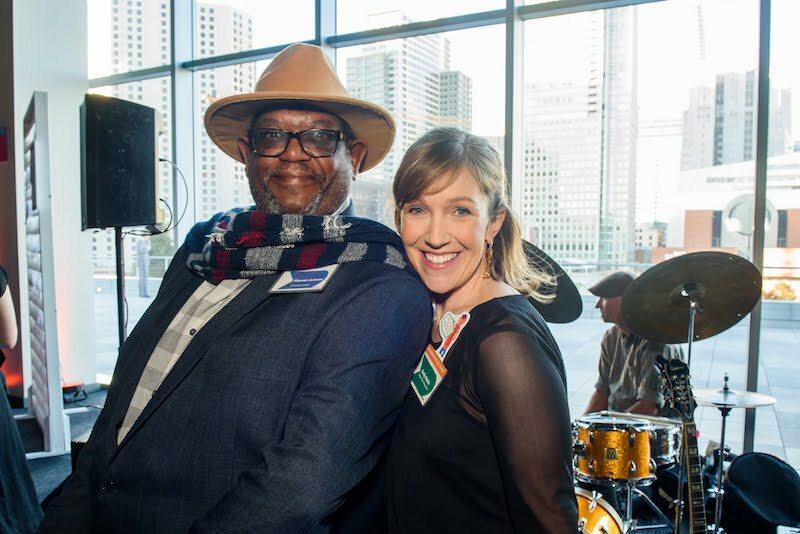 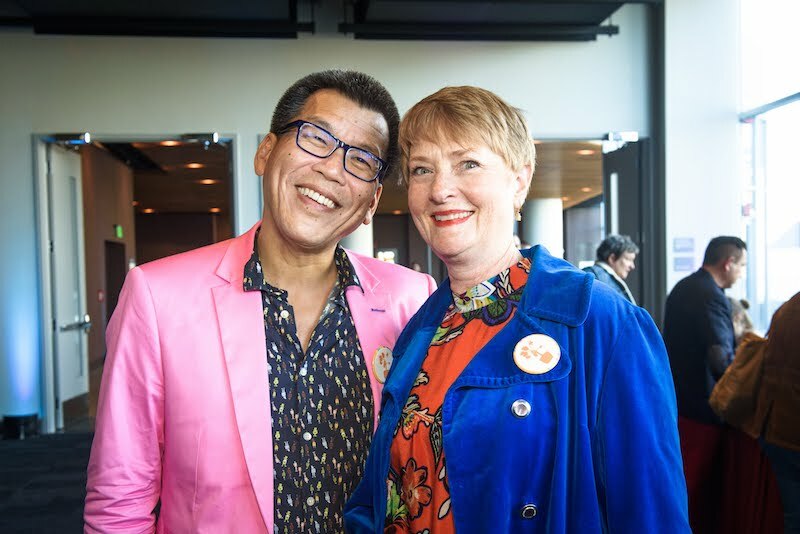 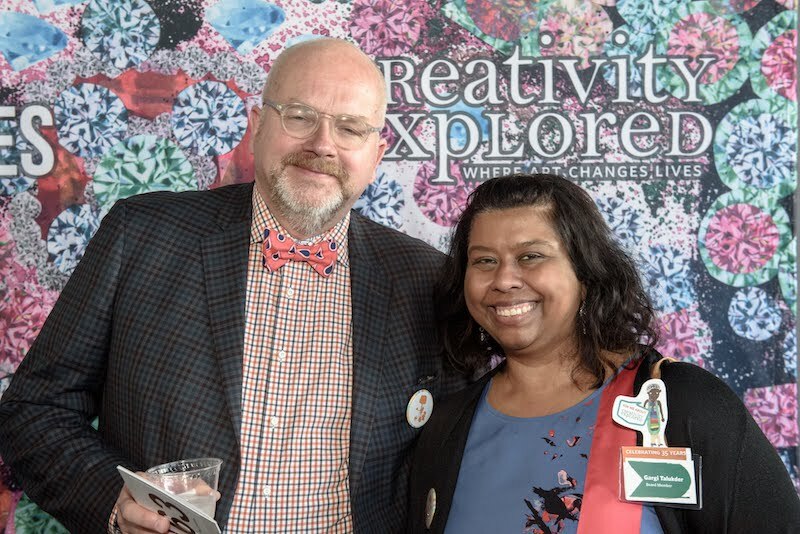 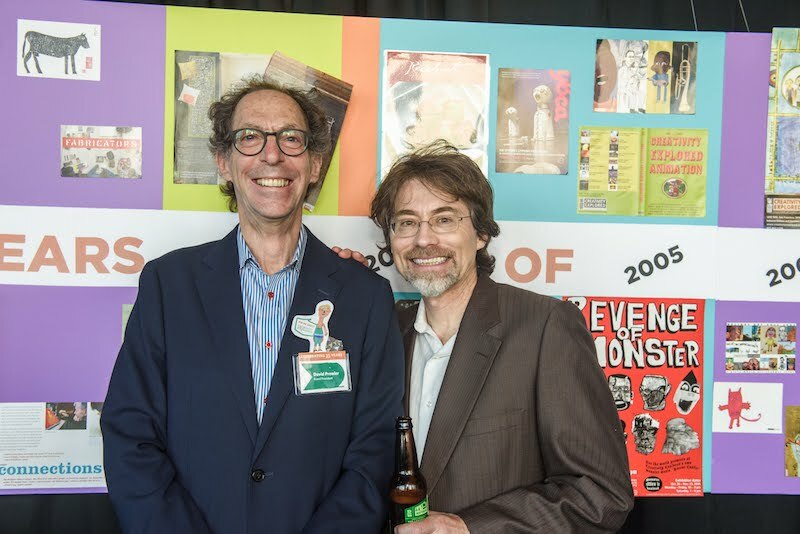 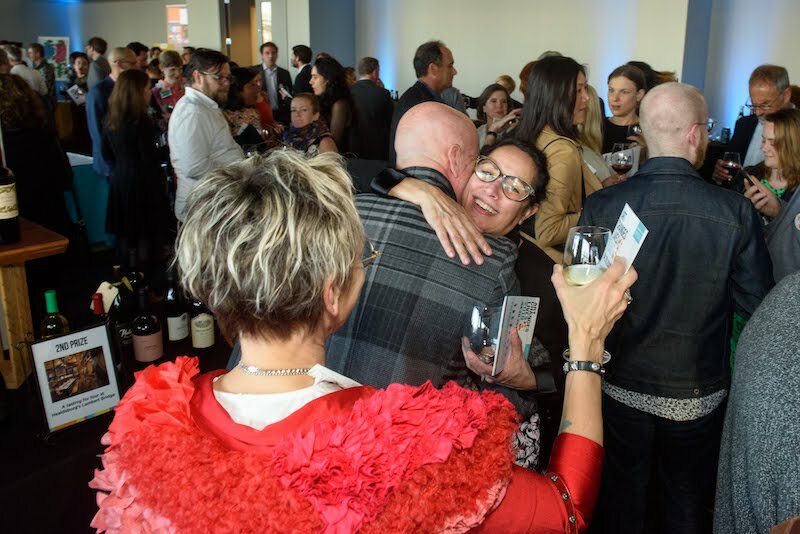 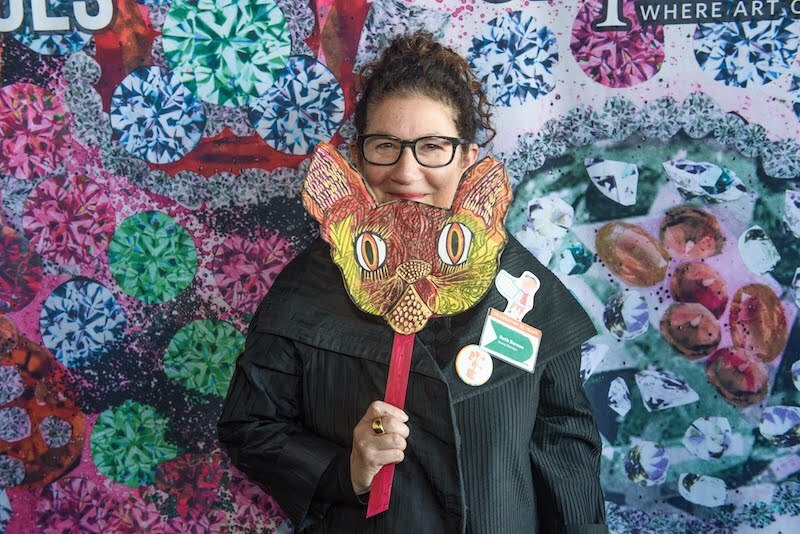 Thus, it was only fitting to celebrate 35 years of creativity in full San Francisco flair – with lots of color, laughter, pizazz, and community. 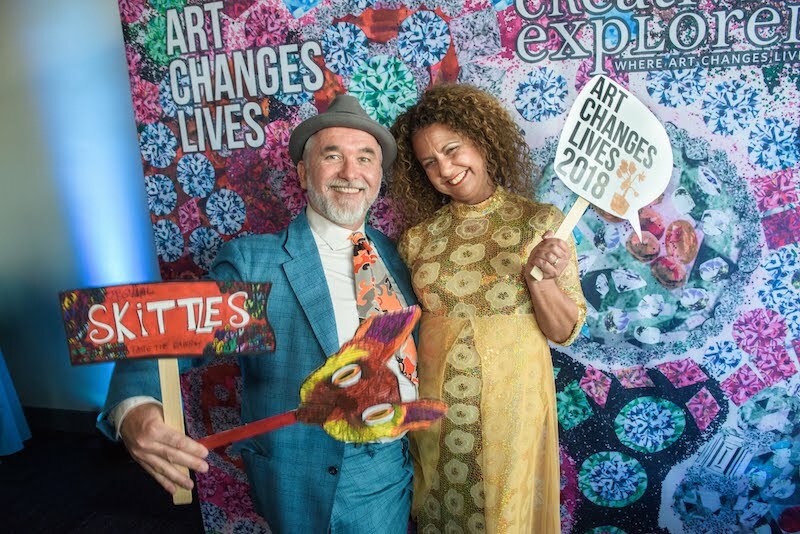 Historically, Creativity Explored’s annual fundraising gala has taken place inside of a hotel ballroom like the Four Seasons. 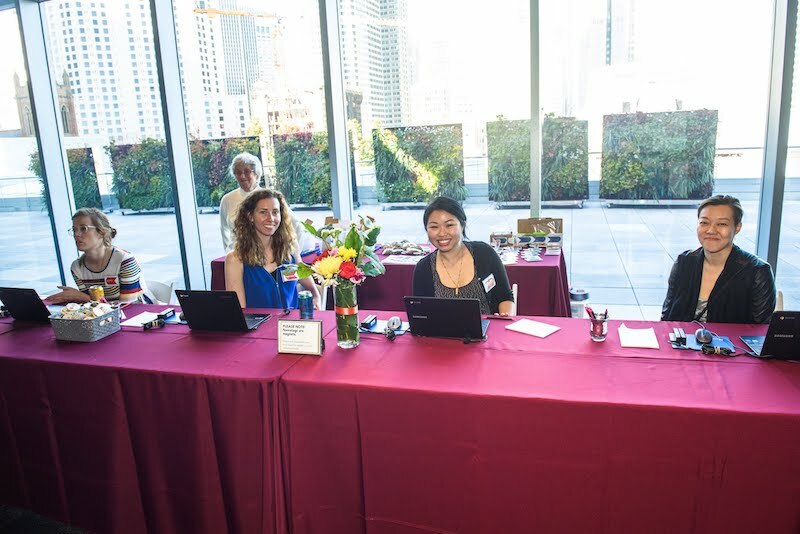 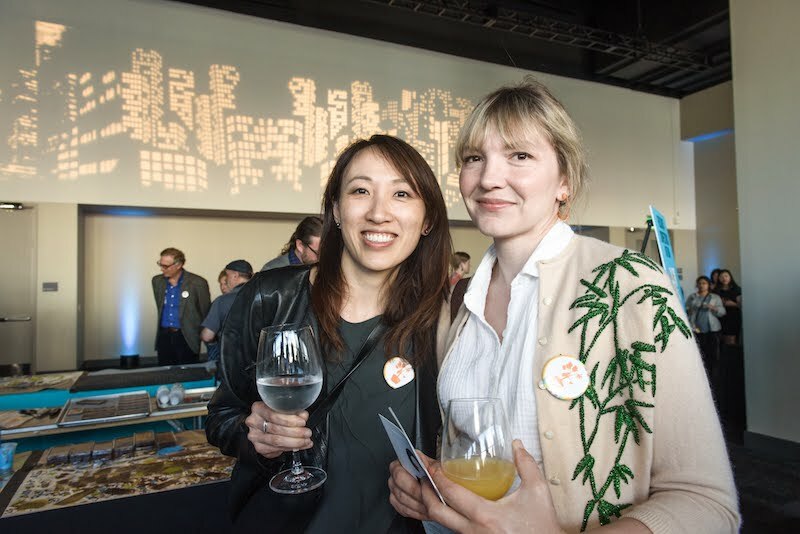  This year, with the addition of a new Executive Director and exciting new programming ready to be launched, CE hired Make it Mariko to produce and design a NEW gala concept at a NEW venue: City View at Metreon. 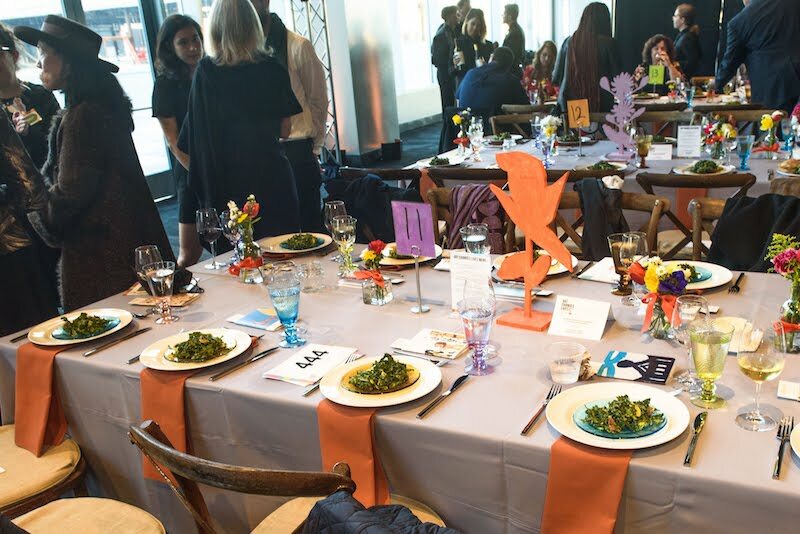 A piece of feedback CE had heard in the past is that there are a lot of people who want to participate in the event, but may not have been able to afford the full dinner ticket. 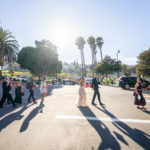 In the past, there was only one ticket for the entire event that included cocktail reception + dinner. 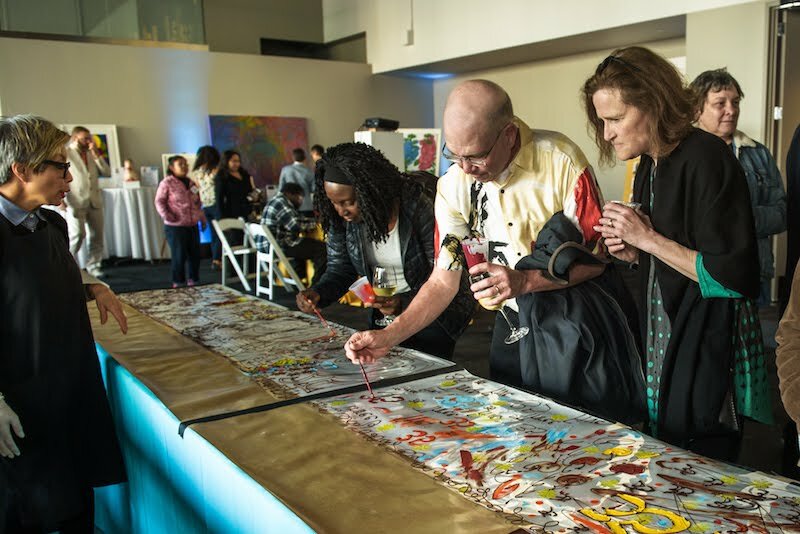 To be able to reach a broader audience and expand the event to more people, we proposed the concept of the “Color Mixer” — a fashion forward Cocktail Reception with a separate ticket at a lower price point to allow more people to interact with CE and their artists, bid on the Silent Auction, and enjoy the event. 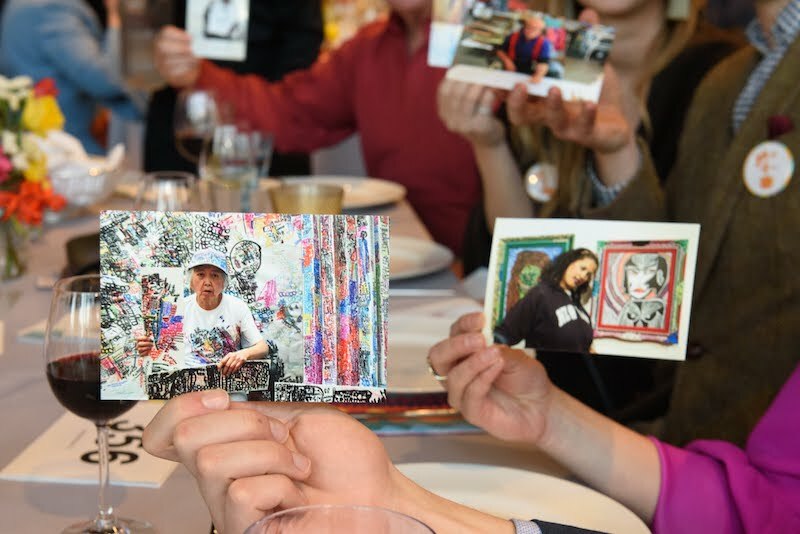 GOAL 2: Create new immersive experiences for guests by featuring CE Artists in innovative ways. 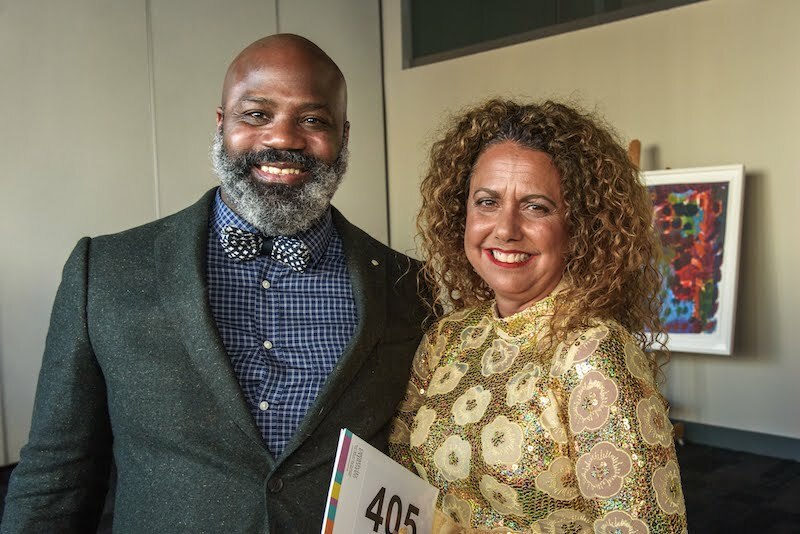 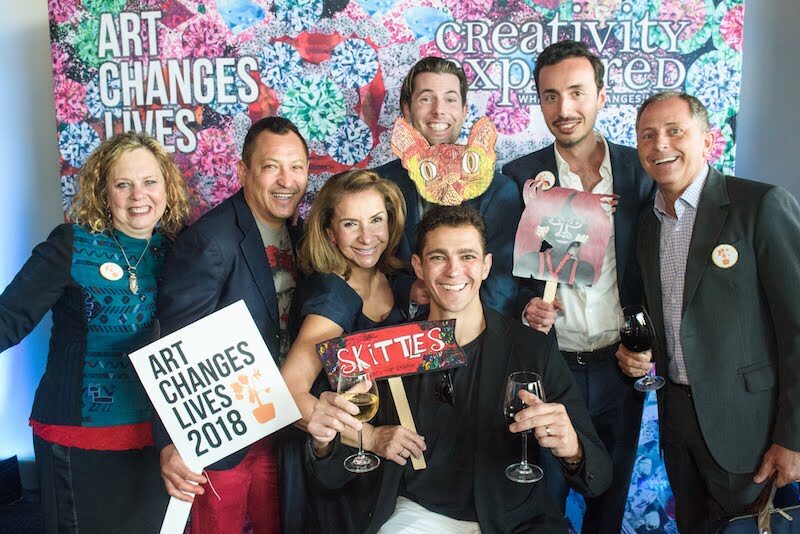 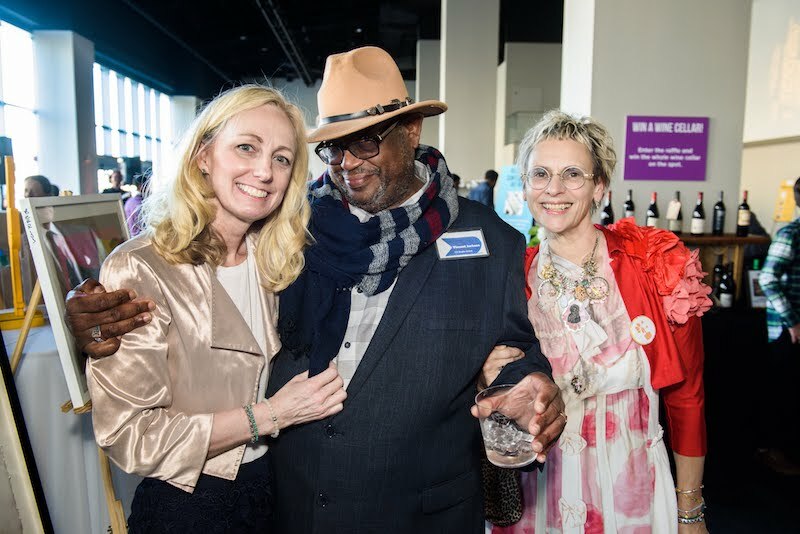 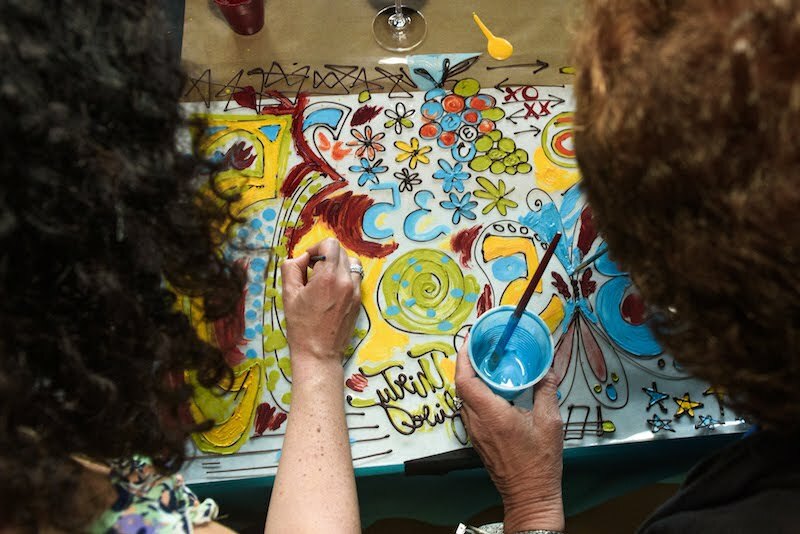 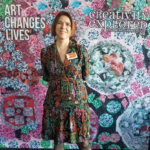 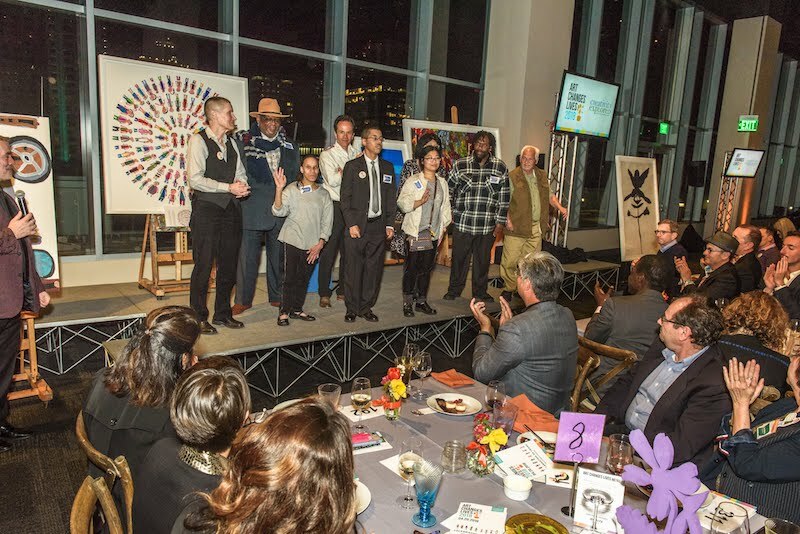 For the event we worked with CE and their teaching artists to feature their artists and create immersive experiences to accompany the silent auction so guests could create their own art! 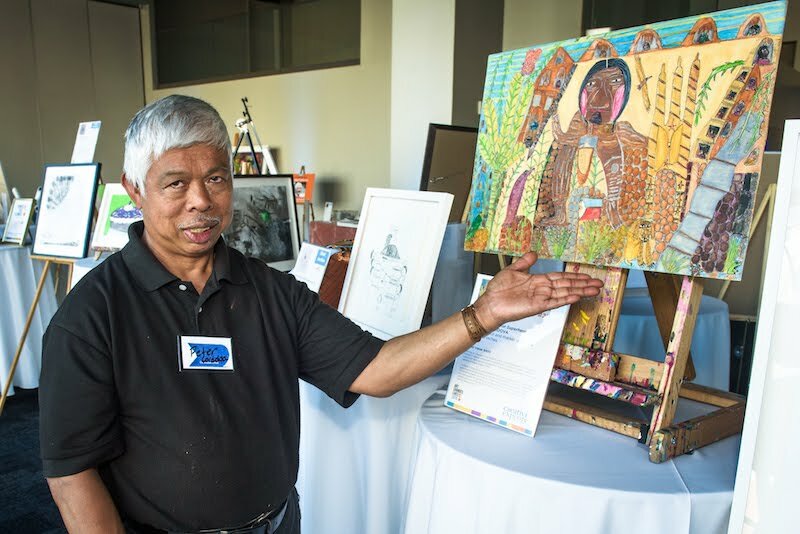 CE curated a Silent Auction featuring over 50 CE Artist works & guests were able to bid directly from their phones! 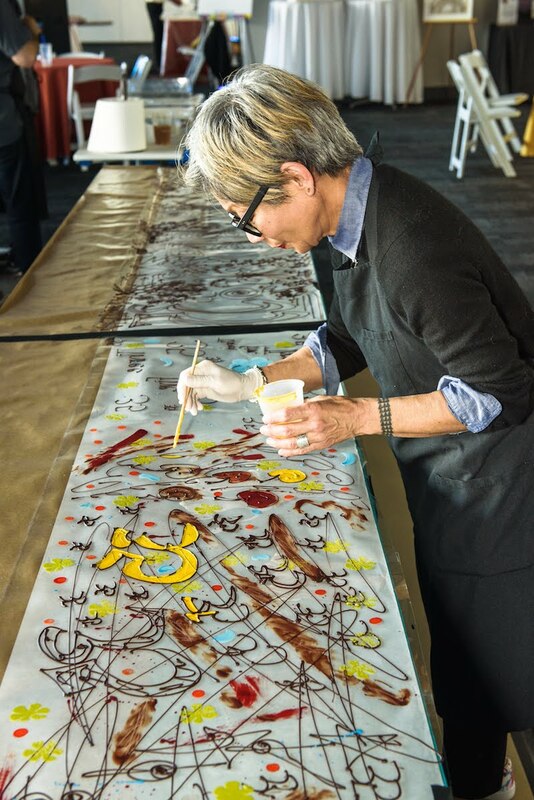 Recchiuti Confections’ Chocolate Art Bar immersed guests in creating their own edible art! 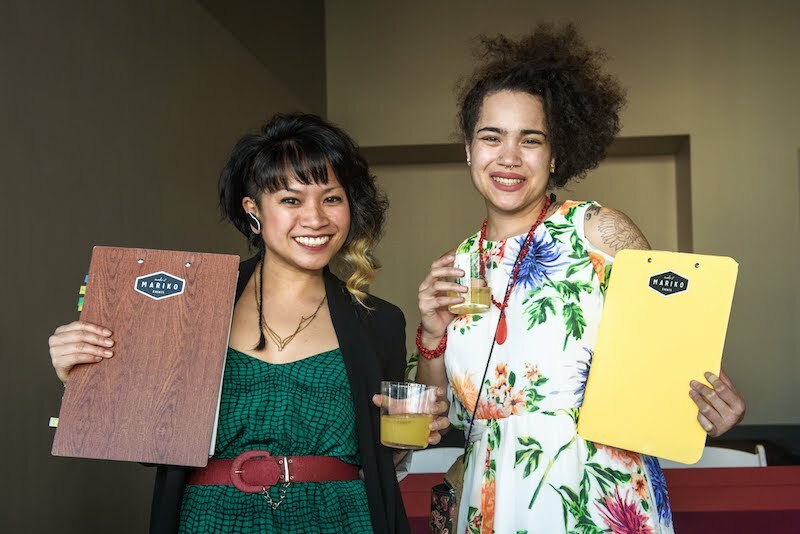 A host of CE artists created live digital art with party goers at the Tablet Art Station. 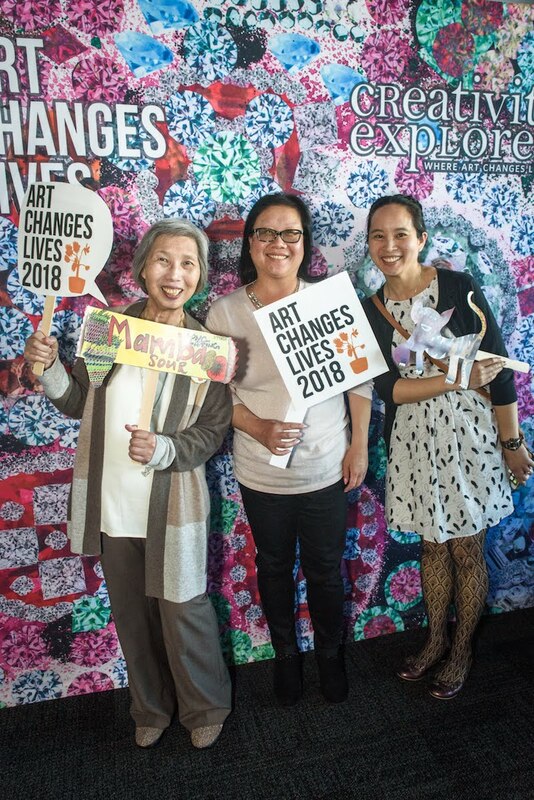 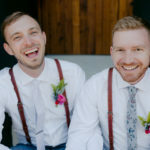 The most popular attraction – the POParazzi photobooth backdrop and props – were created by CE’s very own Christina Marie Fong, inspired by her love of Queen Bey. 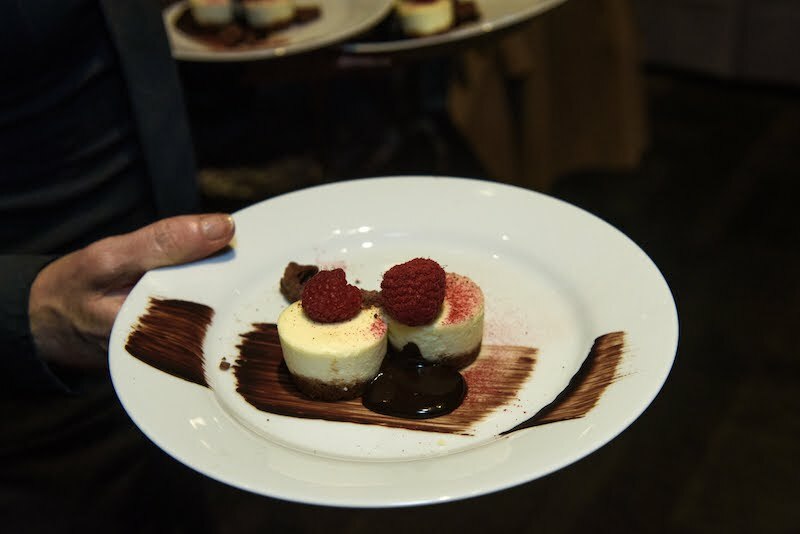 GOAL 3: Increase the overall energy of the event and modernize the dinner experience. 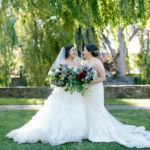 Dinner began with a grand reveal! 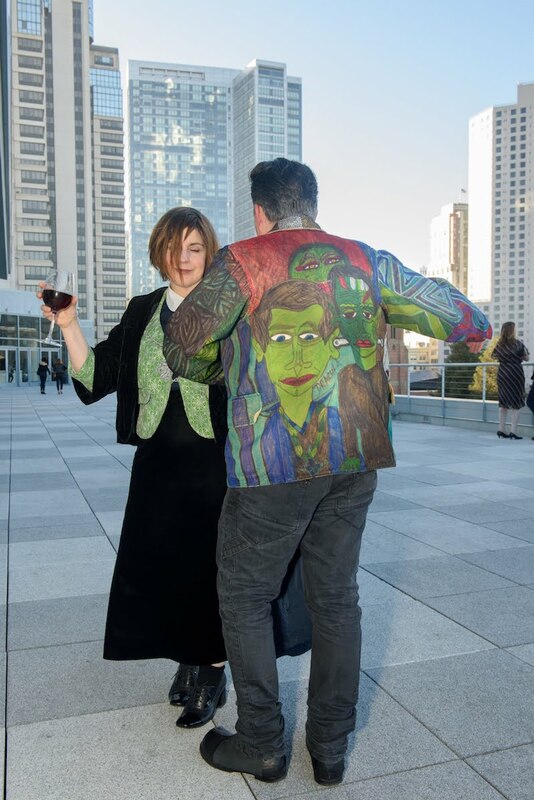 What appeared to be a solid backdrop for the art in front of it turned out to be a moving wall which opened into the grandest room of them all. 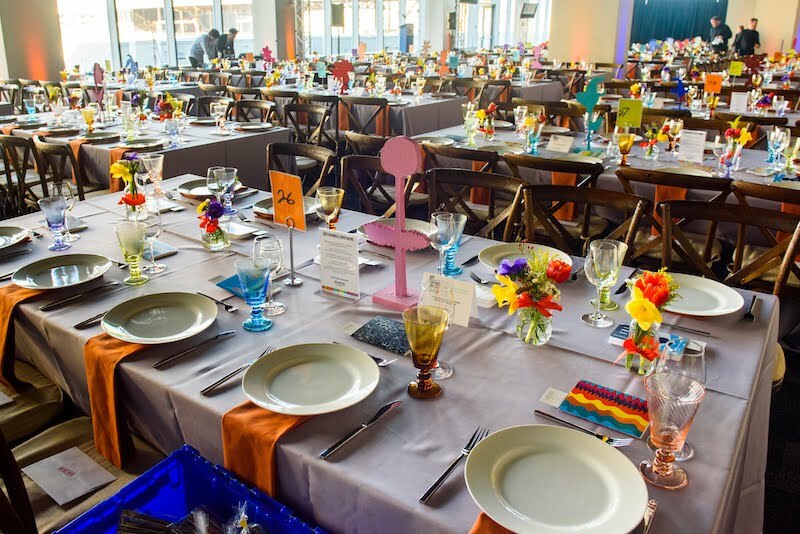 Replete with gemstone hued glass wear and table settings, the banquet hall became a dinner fete for 400 guests! 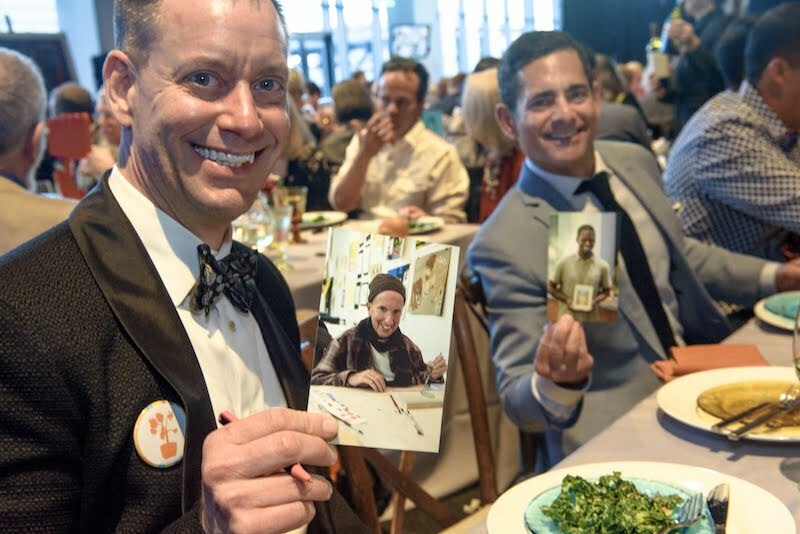 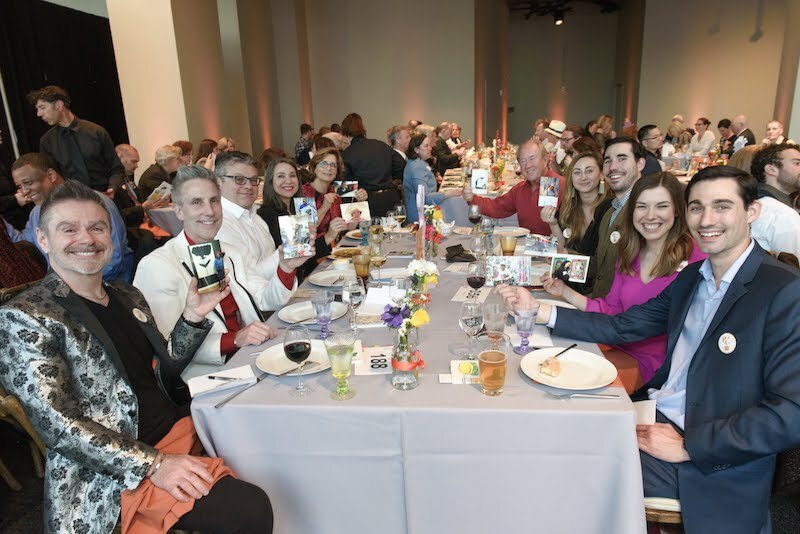 Upon seating, dinner-goers were greeted with gifts: journals designed by Creativity Explored Artists and a special envelope to write postcards to said artists, many of whom were in attendance. 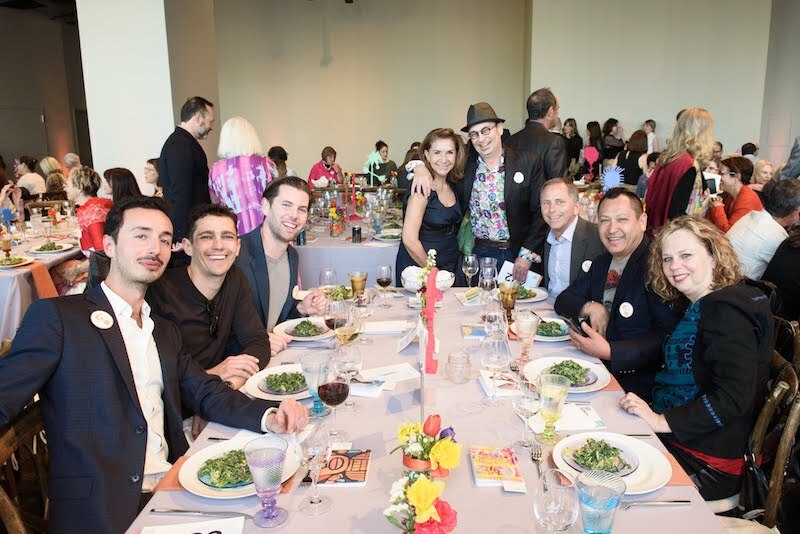 Shifting away from a traditional pre-plated dinner, every lively table engaged in family-style feasting. 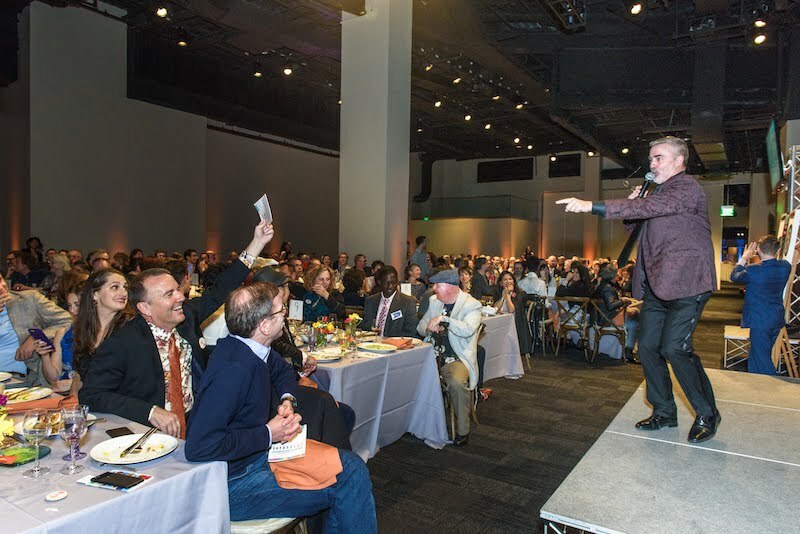 In the midst of toothy smiles, the live auction began, hosted by Auctioneer Lenny Broberg. 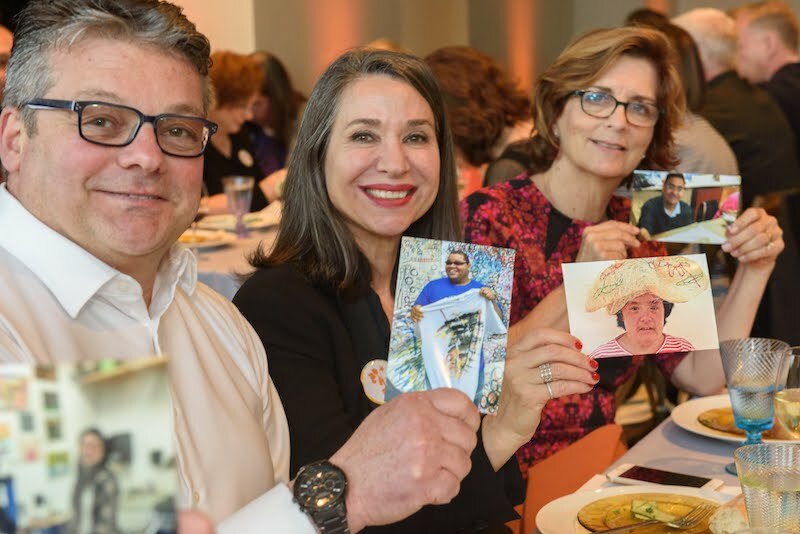 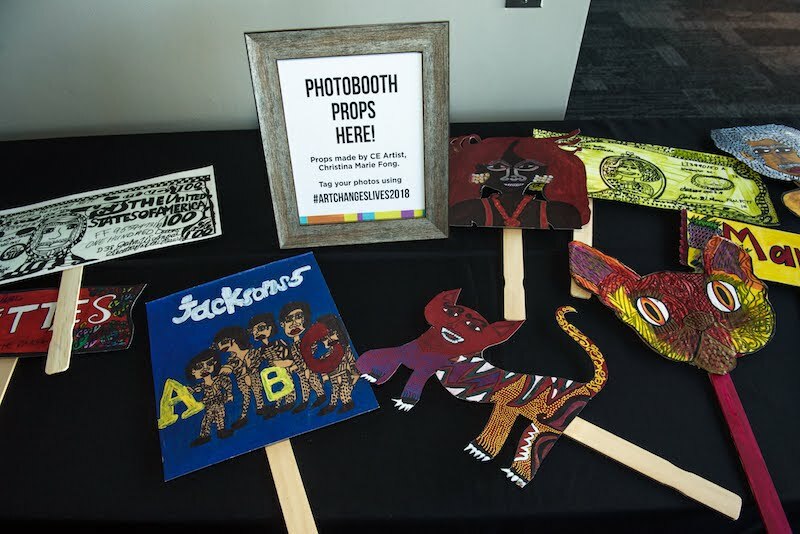 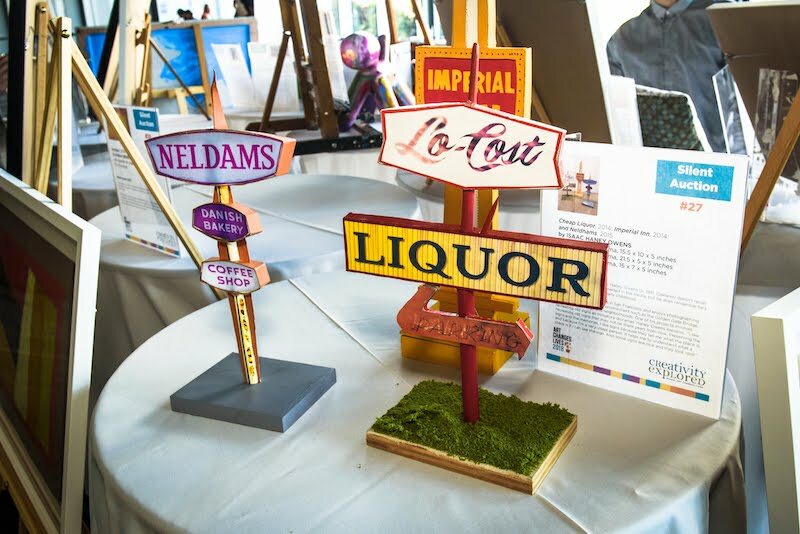 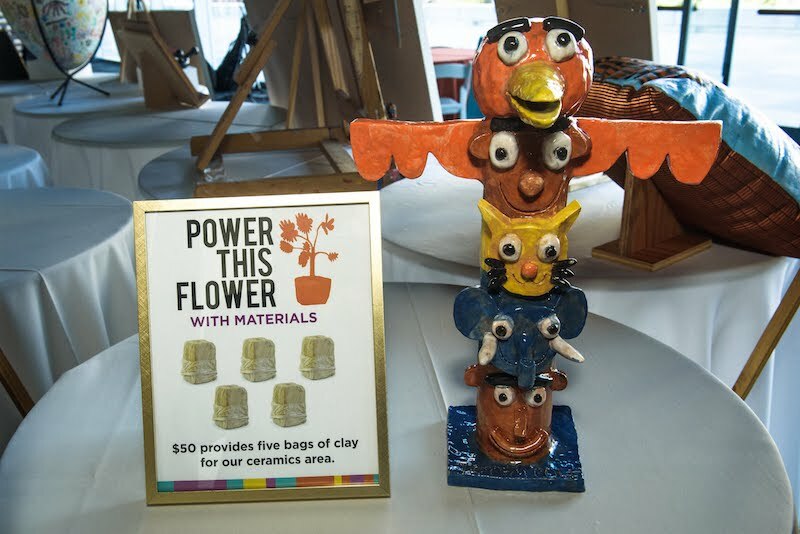 The fierce and friendly competition that ensued, followed by the generous donations for the Fund a Need ask, resulted in every piece of art, including the table top centerpieces, being sold! 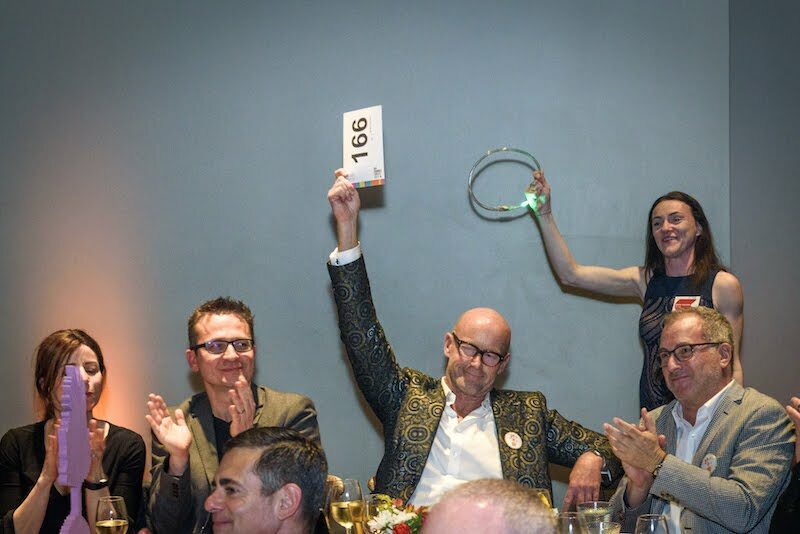 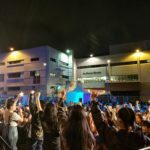 Over $310,000 was raised – the biggest night in CE’s 35-year history! 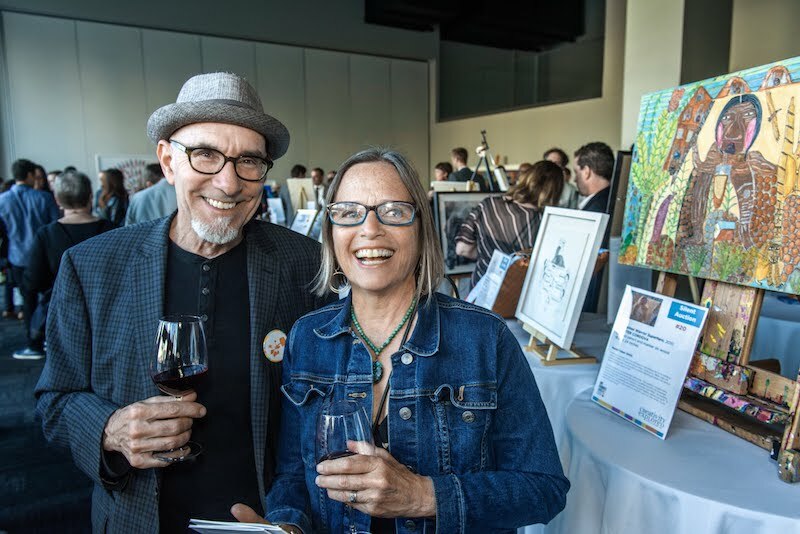 Over 400 supporters and CE artists partied through the night. 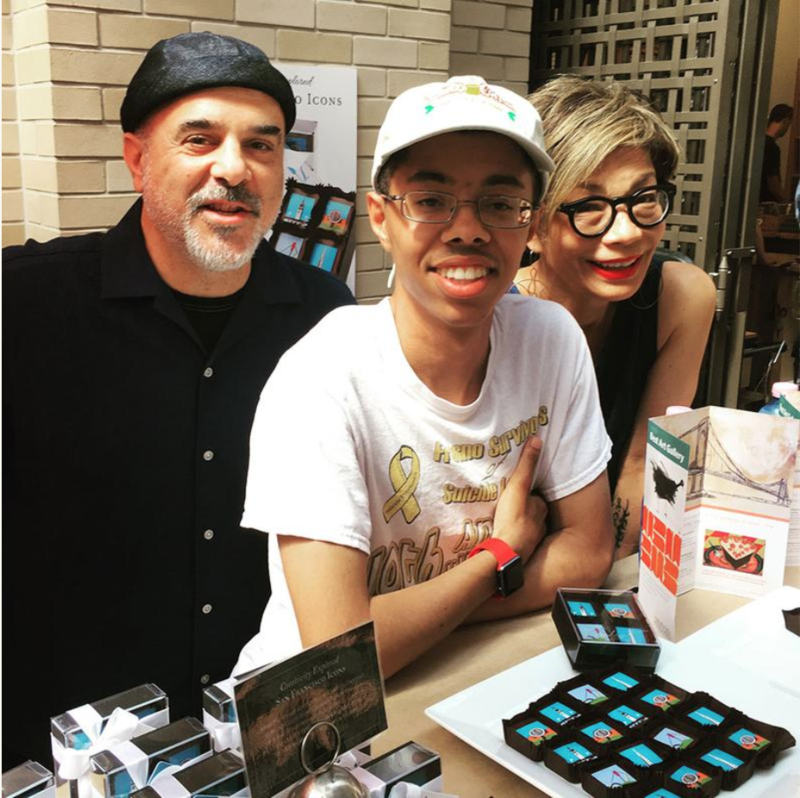 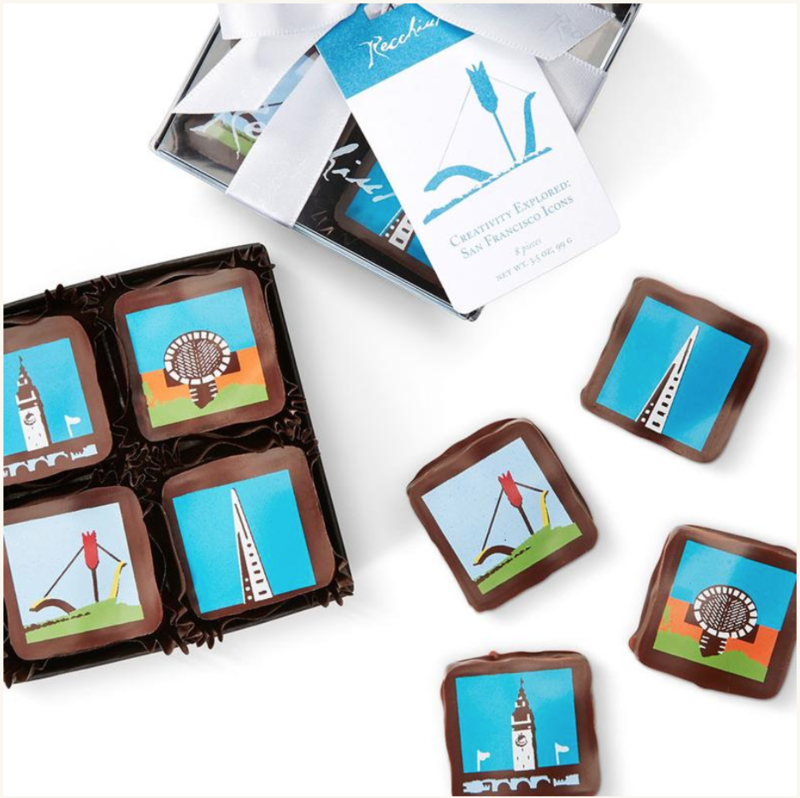 Recchiuti Confections teamed up with CE Artist, Isaac Haney-Owens for a truffle collection!